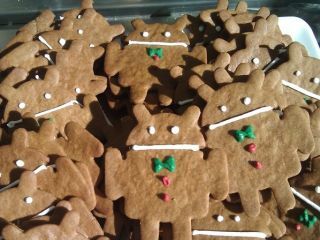 HTC has finally launched an official Desire Gingerbread update, which will update the HTC Desire to Android 2.3.3. There's a pretty big catch, though. This is not your traditional "over the air" update that's all nice and easy. Instead, users have to download and install Android 2.3 on the HTC Desire manually. Also, HTC has issued a lengthy disclaimer alongside the Desire 2.3.3 update, in which it claims this is a slightly hard thing to do and that it is "not for general public use" and that the company "disclaims liability" should anything go wrong. However, don't be put off by the corporate speak. It's as simple as downloading everything you need, connecting your HTC Desire to a PC and installing the Android update over a USB connection, with the end result of a completely fresh and unbranded HTC Desire running Android 2.3. But be warned - this is a phone-wiping update that will completely restore your HTC Desire to original factory settings and remove any files, message and apps on it, so if you're attached to your current set-up you may want to think twice about nuking it. Also, this will effectively "debrand" your HTC Desire, so if you're a keen user of any network supplied apps like, ahem, Orange Maps or Vodafone's collection of bookmarks, you might again want to think twice about installing the update. But if you're happy to wipe your phone in return for getting Android 2.3 on your Desire, here's how to do it. HTC's updating tool requires its own HTC Sync software to be on your PC in order to work, so your first step should be to head off to HTC's support site to download and install Android 2.3 on your HTC Desire. It's free and will also ensure you have the required drives to enable the updater to connect to your phone. The official Android 2.3.3 file for the HTC Desire can be found on HTC's developer site. It's a whopping great 161MB zip file, which contains the Android update itself, plus copies of the two HTC Sense applications HTC has removed to help the new OS fit on the phone, should you want to manually install them yourself after updating. Charge up your Desire, as the updating tool will check you have at least 30% of battery life left to make sure there's no disastrous battery failure during the process. The SD card won't be wiped, but your SMS messages will be erased, so keep any you need. There are many apps on the Android Market to help you do this, such as the clearly named SMS Backup+. Then connect your Desire to PC via USB. And you do have all your contacts backed up via a Gmail account, yes? HTC's mammoth update file contains another zip called "HTC Desire Android 2.3 Upgrade.zip" - inside here is a file named "RUU_HTC Desire Android 2.3 Upgrade (Gingerbread).exe" and that's the actual updater containing all the files it needs. Unzip this file on your PC and run it. Providing you're all connected properly via USB, it should carry out a few checks, tell you to click some warnings so that if anything goes wrong it's all your fault, then begin the upgrade process. It takes a few minutes. Just be very careful not to interrupt it.